One of the fastest VPN Services around. 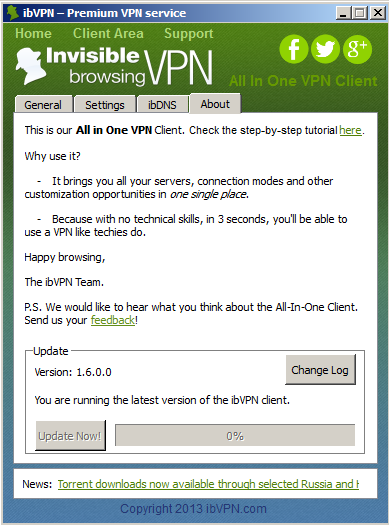 Great Speed, great Privacy, really good VPN Client software - give it a try! How fast is the VPN Service IbVPN? 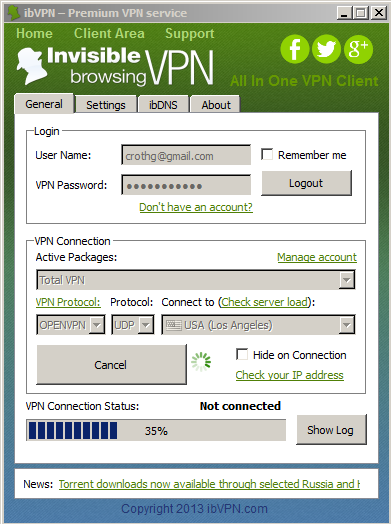 IbVPN offers reasonably priced VPN plans, depending on user requirements. The service is reliable and independent reviews state speed performances are high. The ibVPN plans on offer include the top of the range Ultimate package, Total VPN and country specific server VPN plans or torrent VPN. The Ultimate VPN plan does allow two simultaneous connections, while the Family and Small Business VPN packages also allow a number of simultaneous connections, depending upon the plan purchased. Customers wishing to try out the service before buying a plan can take advantage of the six hour free trial which allows access to any of the server locations. 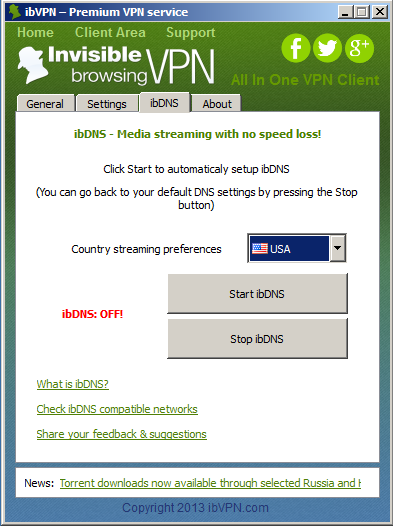 The software is easy to install and ibVPN do not require much user information for setting up an account. Payment for the service can also be made by BitCoin if required. Customer support is via instant chat or email support ticketing, although there is a wide ranging FAQ section on the website which answers many common questions and addresses problems users may experience. IbVPN has servers in 24 different country locations, offering more than 2,000 dynamic IP addresses. Customers needing to access sites blocked from their own countries will find it easy to unblock sites and services from behind the secure encryption of a virtual private network. Using servers based in countries like the United States or the United Kingdom opens sites such as Hulu, Netflix and BBC iPlayer, so frequent travellers will definitely appreciate the benefits of VPN use. Using a VPN ensures customers have the anonymity to surf the web with freedom and in the knowledge that the data transmitted to and from devices remains secure and unavailable to third parties. The service is available for a number of protocols so customers can choose the one that’s best suited to their specific needs.